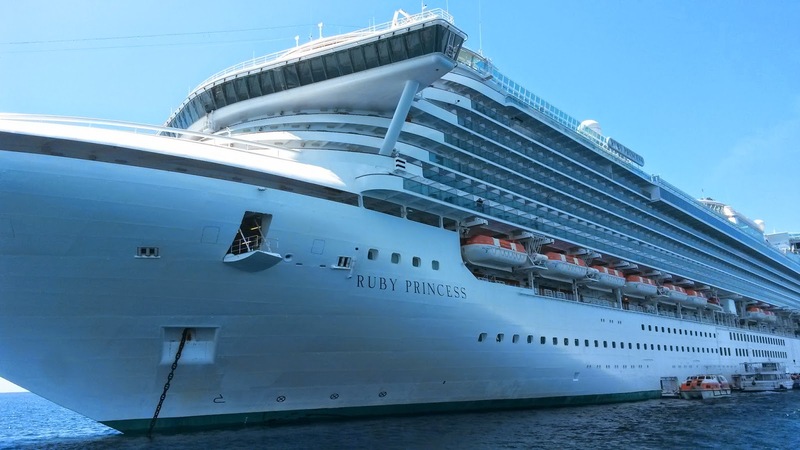 Ship – Ruby Princess is a typical Princess ship – similar décor, same layout which made it comfortable to get around. 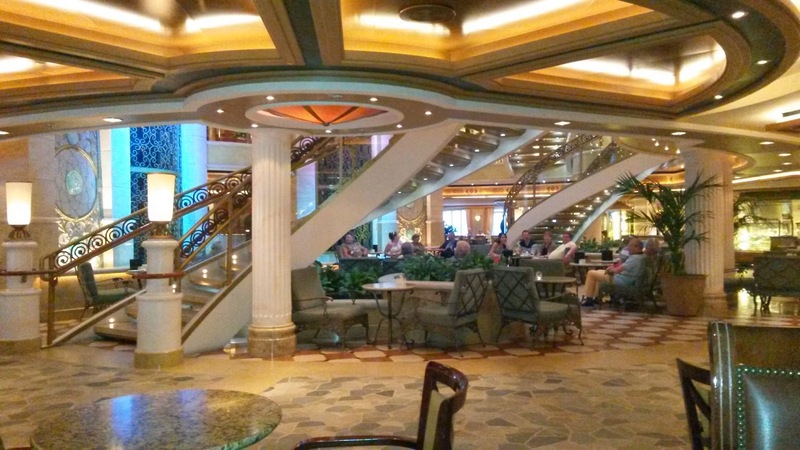 The atrium was beautifully appointed and was the center of activity throughout the cruise. We felt there was never enough seating in this area as it has become so popular. 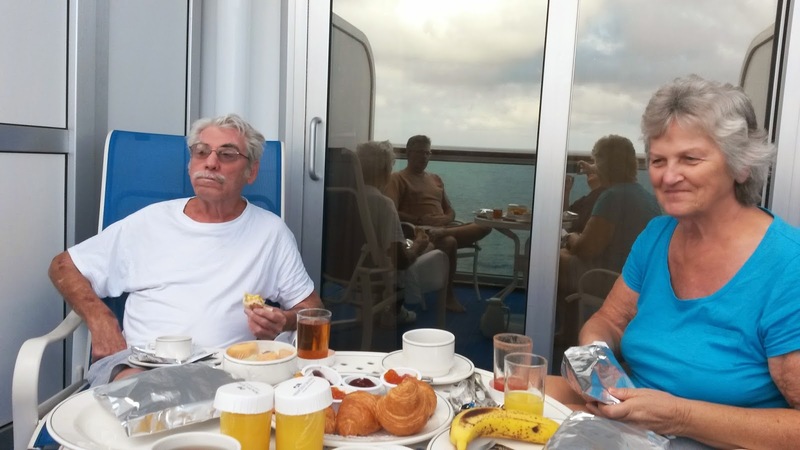 Cabin – We had originally booked a Category MB mini-suite, but the night before sailing Princess contacted us to see if we would downgrade to Category B2 on Caribe Deck with the perk of $200 shipboard credit. This was a great move! The cabin was the standard size, but the balcony was double length – half-covered and half-open. We had a large round table and two chairs which made it wonderful for enjoying our room service breakfast several days! We highly recommend this category cabin! We didn’t need the extra cabin space and to gain it in the balcony was awesome! Room Service – We really like Princess’ breakfast options for room service, especially the breakfast egg sandwiches! The delivery always came within our window of time ordered, and the servers were friendly and helpful bringing it out to the balcony for us. Dining Room – Let’s just say, we were impressed! We couldn’t remember the last time a server or assistant offered us freshly ground pepper on every course and grated the parmesan cheese tableside. We had an extremely efficient wait-team in the Botticelli Dining Room who went out of their way to accommodate our party. The pastas were amazing as always with Princess, but several other dishes were exceptional as well. 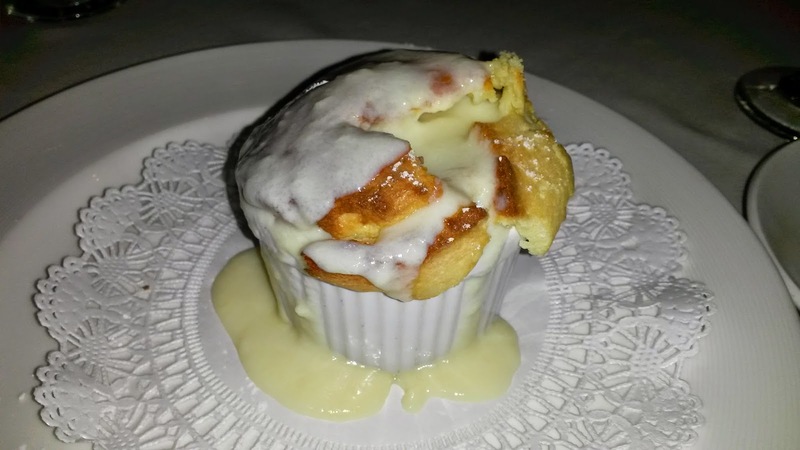 The Soufflé for dessert was perfect! Buffet – We never have liked the crowded buffet access on most Princess ships with the one direction in and one out. The Horizon Court on Ruby Princess was no different. The choices were fine and you could find plenty to eat, but they did not blow you away. The back buffet featured a Mexican theme one day and that was fun with some good choices! 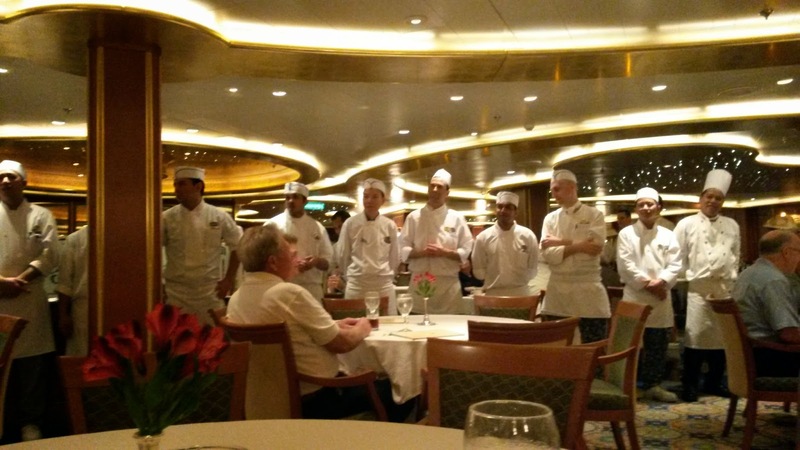 Alternative Dining – While the ship had a Crown Grill and Sabatini’s, we elected not to dine in any specialty restaurants because the dining room was exceptional. 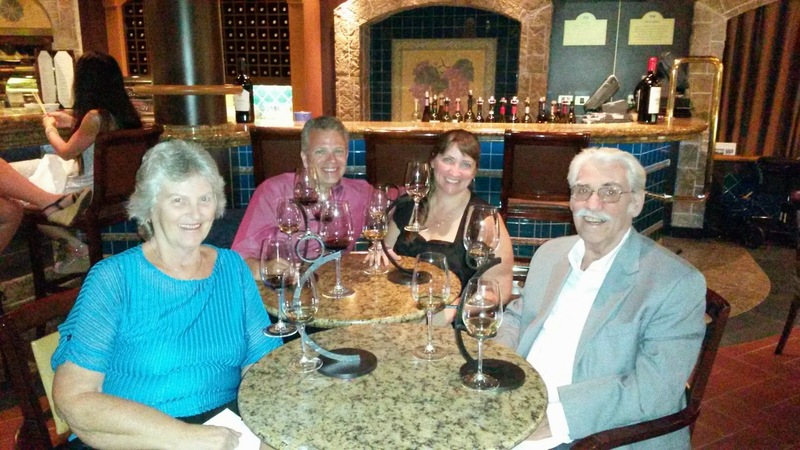 We did enjoy sampling wine flights in the Vines wine bar and consumed the variety of tapas they offered there. We found it strange that it seemed like they only had one or two Flight menus and got the idea that they really didn’t like selling those. 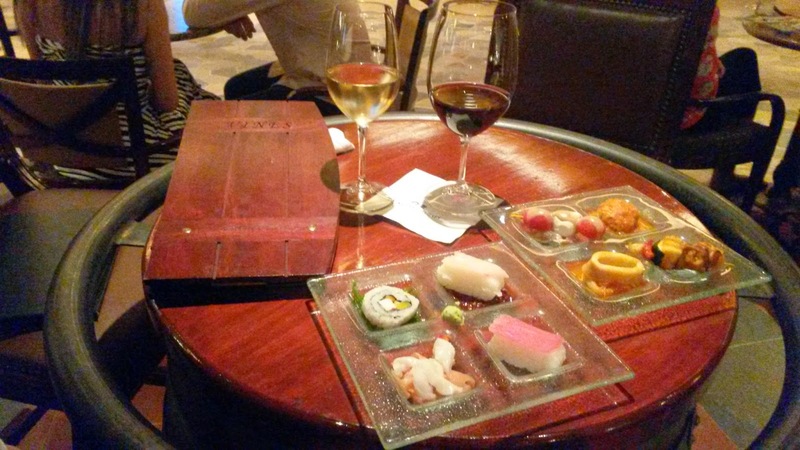 The servers had no idea what wines were which, so you needed the menu to figure it out – but they needed the menu to give to the next table. We definitely got a laugh out of this. 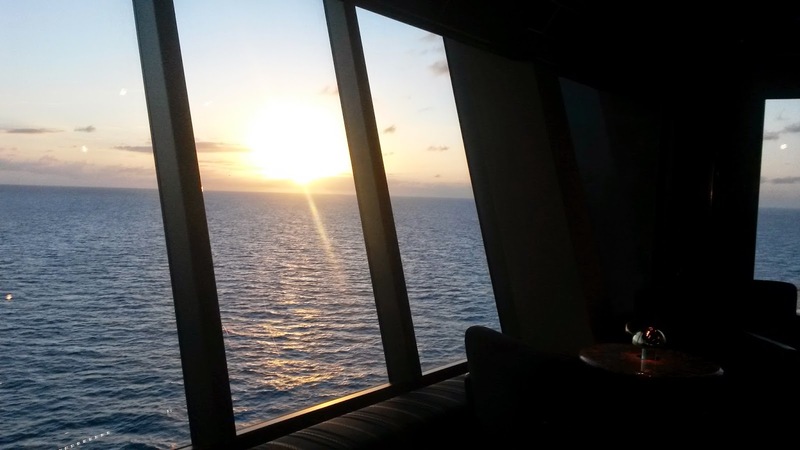 Crew – Very friendly and outgoing throughout the ship. The officers were available during the past guest party for photos and chit-chat. Entertainment – Princess is putting a lot of effort in providing fresh entertainment in the Piazza (aka Atrium) that includes a classical string group, a guitarist Tyrone Babb, and even a juggler/balance duo called Duo Push that drew a huge crowd with every performance. Broadway Ballroom was the production show that was very well done. Featured performers included a comedian, Rollin Jay Moore, and Landon Swank who was on America’s Got Talent. Once again we didn’t make it to Movies Under The Stars. 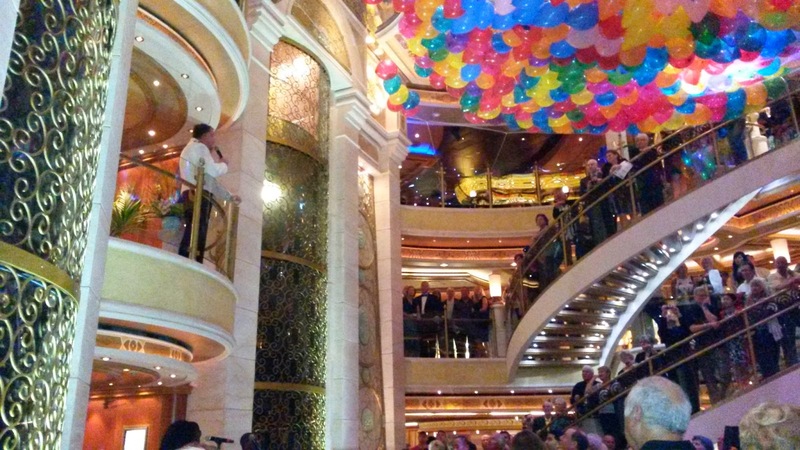 One of my favorite things on Princess ships is when they do the balloon drop in the Piazza/Atrium! 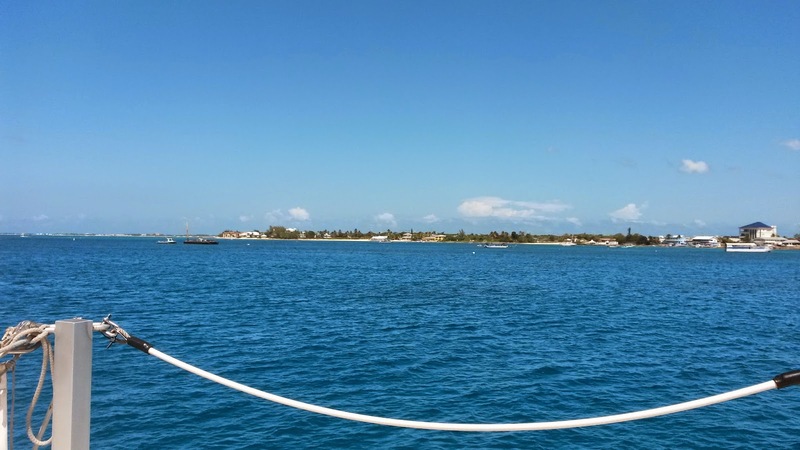 Itinerary – This 4-day itinerary had only one stop which was at Grand Cayman. We were actually planning to enjoy the ship that day, but we had a request to pick up a new Margaritaville Grand Cayman T-shirt for someone special. (We ended up buying two shirts!) 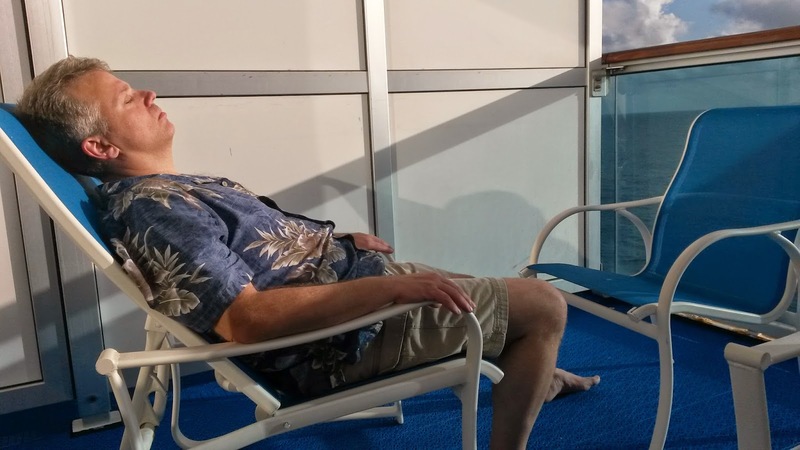 We were back on the ship in no time, and relaxed by pool that afternoon. Summary – The last couple of times we sailed with Princess they really didn’t live up to the expectations we had developed on the first few cruises we had with them. Service, food quality and entertainment all seemed to have dropped substantially (that’s probably why we went almost five years without sailing them). 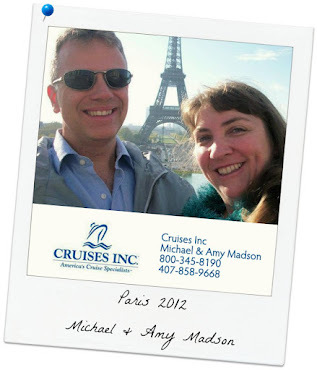 This cruise aboard Ruby Princess really redeemed them on all counts! Now we’re looking forward to our next Princess cruise even more!